The Sisters of St. Clare trace their history from the present day back to the earliest days of St. Clare in Assisi. We do not know when they first came to Ireland but The Four Masters record the death of Finola, daughter of Felim O’ Connor, Abbess of Kilcreevanty near Tuam, about the year 1301. They also record the death of Finola, daughter of Conor na Srona O’ Brian, widow of Aodh Roe O’ Donnell, who “had been twenty two years in the habit of St. Francis” when she was buried in the Franciscan Monastery in Donegal founded by her husband in 1474. Other records in the Bodleian Library in Oxford dating from 1385 indicate that there were three monasteries of St. Clare in Ireland. A map from 1650 provides some evidence of a foundation in Galway in the early 1600’s. It is believed that these nuns were dispersed and banished when Cromwell’s forces captured Galway. 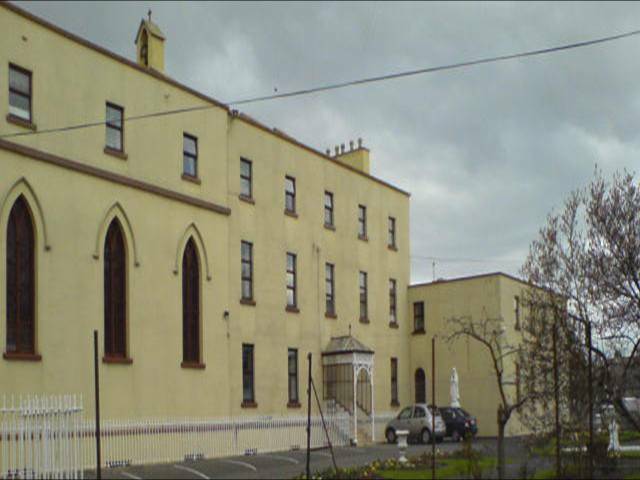 St. Clare’s Convent, Newry was founded in 1830 by sisters from Harold’s Cross, Glasthule, (Dunlaoire) and North William Street. Harold’s Cross was founded in 1804 from Dorset Street. Dorset Street was founded in 1750 from North King Street. North King Street was founded in 1715 from Channel Row, Dublin. Galway was established in 1642 from Bethlehem (Athlone). On Christmas Day 1620 a young Wexford girl Sr. Martha Marianna Cheevers made her profession in Gravelines in the Low Countries. She was the first Irish girl to be professed in the Order of St. Clare since the Reformation. Others followed her and in 1625 five nuns left to open a convent in Dunkirk. All were young, the Abbess – Sr. Eleanor Dillon was only 24, the youngest Sr. Mary Peter Dowdall from Dublin was only 19. With their limited funds they found it hard to live in Dunkirk and within two years had moved to Nieuport where costs were lower. They were joined by two more Irish girls who were to be known in religion as Sr. Mary Power and Sr. Brigid Anthony Eustace. At this time the Irish Franciscan fathers suggested that, as there was a lull in the persecutions in Ireland the sisters should return and open a convent. It was a huge challenge as no convent had been allowed to exist in Ireland for almost 100 years but they decided to return in 1629 and established their first convent in Cooke Street behind Merchants Quay. They were not long in Dublin when twelve postulants sought admission. Two years after their arrival the authorities became aware of the existence of the sisters and they were given one month to leave the city. They refused to go back to Nieuport or to their homes. Instead they travelled to Athlone where the Abbess’s brother Sir Luke Dillon gave them lodging. Within a year they were settled in a “poor house built for their habitation in a solitary neck of land without any inhabitants, near a great lake called Lough Ree… not daring any more to set themselves in any great town, city or popular place and founded there a convent called Bethlehem”. As it was situated five miles from Athlone it was off the beaten track and the sisters were left in peace for some time to follow their Rule. The community increased in number and it was decided to open a convent in Drogheda. However when war broke out the sisters were forced to flee to Waterford but had to leave there too. There is no accurate record of what happened to these sisters. The Bethlehem convent was also destroyed in the war but a few sisters managed to escape and found a convent in Galway in 1642. However, when Cromwell’s troops attacked the Monasteries some of the community fled to the continent while some remained with their families. 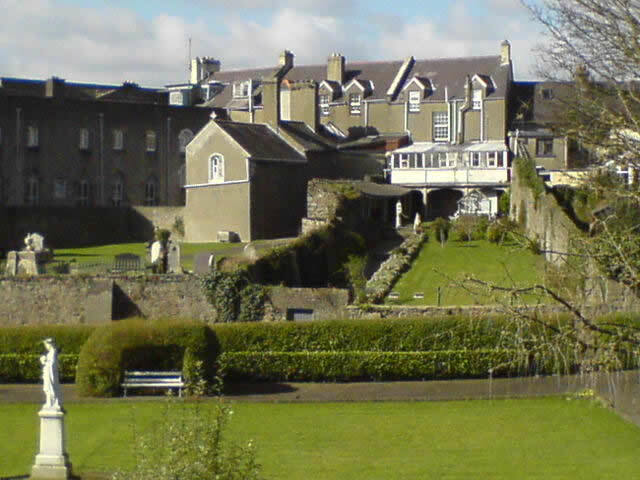 Their convent in Galway passed into the possession of a planter named James Morgan. When Cromwell died in 1658 and was succeeded by Charles 11 in 1660, Catholics gradually returned to the city. Two sisters rented their convent back, gathered together the scattered nuns and resumed their life of prayer. Their first novice was Sr. Margaret Clare Kirwan who was received in 1672 and forty years later she led the return of the sisters to Dublin. Before that however there was another dispersal following the Williamite rebellion in 1688. Once again the sisters were forced to flee and live with relatives and friends. When the Treaty of Limerick was signed in 1690 the sisters again returned to Galway renting a large house in Market Street where they kept boarders to conceal their identity. It remained a convent until 1825 although the community had to flee on four more occasions – 1n 1689, 1712, 1717, and again in 1731. In less than a century the Order was suppressed six times and the sisters driven from their convents. Yet in 1698 four novices were professed and at the suppression of 1712 there were fifty nuns in the Galway community. While undergoing persecution in Galway the sisters accepted an invitation from Dr. Nary, Parish Priest of St. Michans in Dublin to make a foundation in his parish. Six sisters, including Sr. Margaret Clare Kirwan, arrived in Dublin on 7th June 1712. At first the sisters lived in a house in Beresford Street. Then they moved to a convent in Channel Row now North Brunswick Street. The Irish Street Name Plate Raedh na Canalac is still to be seen on the corner of North Brunswick Street today. This convent had been built by the Irish Benedictines in 1685 but they too had been driven out. It now became the home of the Poor Sisters of St. Clare. Within three months of their arrival the convent was raided by the authorities and some sisters arrested but when the situation eased they again returned to the convent and four novices were professed during this time. Believing that they would be safer if they moved to a new location the sisters left Channel Row to go a short distance to North King Street. They took girls as boarders in an effort to avoid detection. Once again in 1718 the house was raided and the sisters arrested. However, as the judge decided they were not living in a convent but running a lodging house, they were released. In order to remain together as a community, they laid aside their habit and dressed in secular clothes. They were known as “Mrs” not “Sister”. They gave up choir ceremonies and anything which might reveal to the authorities that they were nuns. Eventually the penal laws were relaxed a little and the sisters established a very successful school in North King Street. They founded several other communities but with one exception, Dorset Street these did not survive. By the year 1803 the poverty which had caused the closure of the other convents founded from North King Street now threatened the sisters in Dorset Street. Almost the whole of Europe was now involved in war so prices went up, the value of securities fell and the sisters realised that soon they would not be able to pay the rent on their convent home. It appeared that all they could do was disband and share the common fund so that each could have a modest dowry to enable her to join another religious order. However in 1803, Dr. Troy the Archbishop of Dublin called to the convent with a suggestion that the sisters take over an orphanage for girls which was then located in Hendrick Street, (near Queen Street, Dublin.) The daughter of one of their benefactors, Miss Maria O’ Brien, was responsible for this orphanage but was anxious to hand it over to nuns. The sisters saw this as an answer to their prayers. The girls were in need of a home and the Archbishop petitioned Rome to modify those aspects of the Rule which would be incompatible with the care of orphan girls. This permission was granted in May 1804 by Pope Pius VII. To the three vows of Poverty, Chastity, Obedience, the sisters then added a fourth vow the care of female orphans and children. With the help of friends, premises were found at what were then numbers 19 and 20 Harold’s Cross Road. On 8th October 1804 three sisters moved there followed on 19th October by the Abbess and eleven sisters. On 2nd July 1806 the newly built orphanage was occupied by the first group of children. Later a convent and chapel were built and in 1817 the sisters resumed wearing a religious habit which they had been forced to lay aside almost one hundred years before. 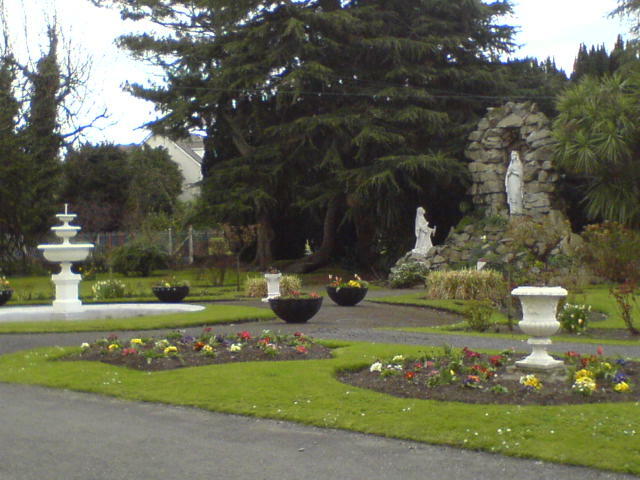 The move to Harold’s Cross represented a significant change for the Sisters of St. Clare. Since their arrival in 1629 they had followed the purely contemplative Rule of St. Clare. However at times they could not observe enclosure or have a grill so instead they ran schools and cared for young girls. These changes were understood to be temporary and as persecutions lessened they were free to return to the totally enclosed lifestyle. The changes resulting from the move to Harold’s Cross led to some permanent alterations in the Rule of Enclosure which evolved further following Vatican II. In 1829, at the time when Catholic Emancipation became a reality in Ireland, the sisters were invited to open a convent in Newry, Northern Ireland. This was the first convent in that part of Ireland since the Reformation. Unlike Harold’s Cross this foundation did not require the sisters to care for orphans but at the request of the Bishop of Dromore they established schools first in Newry and later in different parts of Ireland. Cavan and Kenmare in 1861, Ballyjamesduff and Keady in 1872. In 1882 sisters from the convents in Keady and Newry volunteered for a mission in Australia. These were all autonomous Monasteries but in 1944, under the leadership of the Abbess of Newry, Mother Agnes O’ Brien the convents in Keady, Cavan, Ballyjamesduff and Newry amalgamated while still remaining within the Second Order. Later the convents in Kenmare and Harold’s Cross also amalgamated with the earlier group. During the 1700’s the sisters were known as “The Poor Sisters of St. Clare”. A General Chapter of the Order in 1984 decided to simplify our title to “The Sisters of St. Clare” or “Clarissae” while still remaining within the Second Order. There were more foundations in the 20th Century, to Dioceses in Ireland, England and Wales. By the early 1960’s convents had also been opened in several U.S. Dioceses, initially in California, later in Florida. Our mission to El Salvador and Guatemala in Central America began in the 1970’s and has been blessed with new vocations. In 1990 following the fall of communism, some sisters helped with the restoration of the Church community in Albania. Today we have sisters living in six countries spread over three continents, each living out Clare’s Rule. Some are in active apostolates, some are retired, but all are commited to our Charism of contemplation, community and poverty while searching for ways to make Clare ever present to our world. As Religious Life faces new challenges today, we remember all the courageous women who followed the example of Clare and dedicated their lives to God during the past 800 years. We use this opportunity to reflect on our commitment and how we live out the Rule of Clare in the 21st Century.